Why aren’t translations the big story of Indian publishing? Despite the embarrassment of riches in Indian literature across every language, original English writing is somehow considered superior to translations. For English-language publishers in India, translations from one of the regional Indian languages into English have been a little bit like a husband. You knew he could come up with good stuff every now and then, but there was no glamour or passion. No one told the wife what a fantastic partner she had. But English language fiction? Ah, that was the handsome dish down the road – elusive and, often, quite shallow, but what a body. A prize catch, if ever there was one. Suddenly, though, the husband is looking more attractive. Maybe it’s the visits to the mental gym, but he’s competing for attention with the neighbourhood hunk now, even if he isn’t exactly winning every time. And there you have the story of translations from the regional Indian languages – about a dozen of which are active in literary terms – into English. While there is no stemming the flow of original works of fiction in English, India’s biggest English language publishers – the majority of whom are global corporations – are warming up to the idea of commissioning and publishing more works in translation from regional languages. Penguin, Harper-Collins, Random House and Hachette have all been increasing the number of titles in translation, and the latest entrant, Bloomsbury, promises to treat translations and English language fiction as equals. Penguin has an editor dedicated to publishing translations; Harper-Collins uses its classics imprint Perennial to channel translations. And the Oxford University Press has long been producing translations of novels and stories by marginal writers in particular. This should be music to the ears of the dozen or so translators in India who have been fighting on gamely over the past decade in particular to get their works onto the desks of editors. Many members of this vanguard are veteran warriors, and have now translated around ten or even more books each. Their ranks have now been swelled by later entrants with one or two published translation each. Their energy is just as remarkable and their reading ranges more among contemporary works than classics – which is gradually changing the flavour of the portfolio of translated literature. Why publish translations when Indian writing in English is thriving? On the face of it, the logic behind publishing translations in India is impeccable. Unlike fresh works in English, these are not shots in the dark, having already enjoyed critical and/or popular acclaim in their original language – provided the titles are chosen with care. The authors, too, have some currency already – often going back years or even decades. And a sociological change sweeping India, where younger people – 60% of the population is under 30 – can no longer read in their mother-tongue fluently, preferring to read in English, is creating large swathes of readers who are keen to read the books their parents rave about but cannot till these books are translated into English. However – and it’s a big however – readers haven’t exactly been queuing up to pick translated literature off the shelves. Why? Well, many readers are suspicious of anything with a whiff of the ‘literary’, which translations inevitably reek of. This is somewhat ironic, because many of the texts were meant for contemporary readers in the original, but have acquired the "classic" tag in translation. But then, most translations have in the past been positioned the way antiques are – valuable to those with discerning tastes, but not necessarily cool. As a result - there have been exceptions, of course – even novels that have sold in hundreds of thousands in their original language have sunk without a trace in the translated version. But with the recent renewal of vows, publishers are now giving translations a lot more attention. State of the art cover design, top-flight editorial attention, and even positions as leads or second leads in monthly catalogues – translated titles are beginning to blush with the glow of marketing love. Instead of quaintness – "Oh look, how marvellous, a Malayalam (or Telugu, or Marathi) book of short stories, how original!" – translations are now being presented as examples of best in class writing, with all the attendant trimmings. The one piece in the puzzle that’s yet to fit in: global sales. Written for readers within the country, most translated fiction does not really decode India for an international audience. But who picks the books to be translated? The sheer diversity of Indian languages makes it impossible for an editor to be well up on the literatures of half a dozen languages. Typically, an editor will be a voracious reader in English and, perhaps, in the language of the region of India they belong to. So, a single editor might at best be able to identify titles in that one additional language. It is up to the translators themselves to play talent scout, literary agent, and, of course, translator, rolled into one. By a strange quirk of publishing history, many of the first set of editors in India were Bengali-speaking. Not surprisingly, this was the language that was represented the most in the first wave of published translations. Fortunately, energetic translators from other languages, combined with the sensitivity of the next generation of publishers and editors, are now ensuring parity between languages. Translators also have to double up as agents and scouts simply because India’s regional publishing industries are too focused on their local markets to be concerned with marketing their titles for translation into English. Leave alone reach a global audience, even a pan-Indian readership is not on their radar screens. For the longest time – and, possibly, even now, even as you read this – there have been few or no formalities involved in translating a book from one regional language into another. Permission, rights and royalties have seldom played a part in the proceedings – at most, the translator or the publisher may have casually informed the writer. The trouble goes deeper, with much of publishing in the regional languages taking places without formal contracts or assignation of rights. And since local publishers have no interest in selling translation rights, they neither secure these rights, nor attempt to market them. Is translation a profession or a vocation? For all the mouthwatering growth that English publishing appears to offer, very few resident English language writers can actually make a living out of their identity. Those that do are either published extensively across the world (Amitav Ghosh, for instance) or do not live in India (Vikram Seth or Jhumpa Lahiri, for example). The other flavour of authors who can, if they choose to, live off their royalties are extremely successful commercial writers. A segment of one at the moment, it consists of Chetan Bhagat, who has inspired not only sales of a million copies of his books, collectively, but also, probably, a million wannabe bestseller writers. No wonder, then, translators make even less than writers, and inevitably have day jobs to pay the bills. (More translated words are written at night in India than, perhaps, in many other countries where translators can hope to live off their work.) Unlike in Europe, for instance, translators in India usually get a share of the royalties rather than a translation fee. Ranging between 2.5% and 5%, this will seldom amount to earnings of more than Rs 50,000 – going up to Rs 100,000 – if they happened to get out of the right side of the bed. As a result, the work is done for love, not money. This isn’t necessarily bad, actually. The gap between current earnings and the minimum required to make a decent living is so high that there can never be any hope of a life as a professional literary translator. So, these translators are fuelled by their passion for the craft, for the texts they translate, and, yes, by a desire for fame – all of which, arguably, makes them strive harder to produce memorable translations. Despite this passion, unfortunately, literary translators in India are not connected in communities. There are no formal groups or networks to enable regular meetings, conferences or exchanges. Having day jobs leaves little time for most translators to do anything beyond reading, translating, and proofreading. Only the occasional encounter at literary festivals or book launches allows them to exchange notes and catch up on one another’s work. In psycho-emotional terms, this means working in isolation for the most part without the benefits of a support group – but, more important, it also means that a standard of commercial norms over rights and payments for translations has not evolved. Nor is there any formal training or mentoring programme for literary translators. Thus, neither craft and technique nor practical issues like the need to secure permissions and sign contracts are taught to aspiring translators. Practising translators in India are almost entirely self-trained, honing their craft as they go along. What the successful ones do have in common is that they have spent the formative years of their lives in communities and geographies where their source language was common currency – a good translator from Bengali to English, for example, will have lived in Bengali, so to speak, even though they may have been educated for the most part in English. Translation prizes! Aren’t they game-changers? With the gap between critical and popular acclaim growing ever wider, the few prizes for literature in translation that there are do little for sales or even awareness among people. As a result, they are only celebrated within the closed circle of publishers, authors and translators. The pre-eminent among these prizes is the Crossword Book Award for Best Book in Translation – part of the Crossword Book Awards series for fiction, non-fiction, children’s writing and translation – with the not inconsiderable sum of Rs 300,000 as prize money, shared between the writer and the translator. Just about the only benefit, besides a night of glory, is that the takings might finance the next translation for the winner. 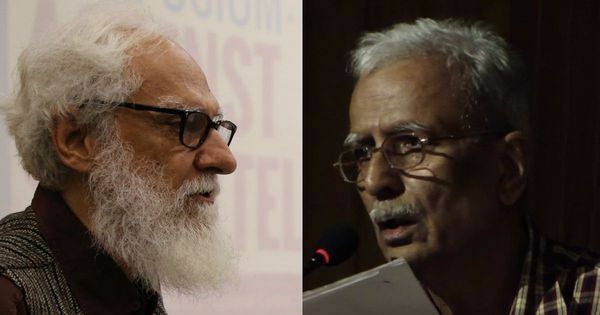 The other two translation-specific prizes – from the state-owned and –managed Sahitya Akademi and the literary journal Muse India – are yet to make their mark either on the public (or publishers’) imagination or on sales. This, even though the Akademi awards have been around for several decades now and assiduously seeks out worthy titles in 22 languages year. With all these awards, the approval of a critically-minded jury seems to make little or no difference to India’s reading choices. The two other major local literary prizes that Indian fiction is eligible for – the DSC South Asia Literature Prize and the Hindu – let books translated into English compete on equal terms with books originally written in English. This is a bold declaration of parity between the two kinds of fiction, and a translated winner should offer a big boost to the category – if only because the winning books get the kind of media coverage that most fiction is deprived of. True, this may be because of the prize money – Rs 2,500,000 for the DSC and Rs 500,000 for the Hindu – but once a translated book wins, as it surely must soon, angels shall sing. A new direction for translation in India may come from the ambitious government of India- sponsored project titled Indian Literature Abroad. Funded by the central government but wisely left to people from the publishing business and academia to execute, ILA envisages translating classics and contemporary works from regional Indian languages into the UN languages – Arabic, Chinese, English, French, Russian and Spanish. While it will be difficult, if not impossible, to find translators into all the other languages besides English, once the programme starts commissioning translations and funding them, there will certainly be a flurry of activity. At the moment, the first set of titles is being finalised. What about students? Don’t they read translations? If irony is understated in Indian writing in English, it is abundantly represented in the literature classes in the country’s colleges and universities. Every liberal arts campus in India is represented by both undergraduate and postgraduate courses in English literature. Until the 1980s, these courses were dominated by… well… works of English literature. It needed minor revolutions in syllabus management over the next couple of decades to introduce, successively, American writing and then Indian writing in English. Since then, college professors with greater freedom to design bespoke courses have brought in works from global literatures – Latin, European, even Oriental – but not many colleges actually teach Indian fiction in English translation. Will this change? Well it might, for the simple reason that college and university professors are now themselves involved in translating fiction from their mother tongues into English. A new market for translations will explode in India in that case, encouraging publishers to invest more resources in translated titles. And what will change all this? One guess – or rather, wishful thought: an Indian writer, who doesn’t write in English, winning a major international literature prize. Such as, yes, the Nobel Prize. One Indian writer who has long been in the running is Mahashweta Devi, who writes in Bengali. Should she ever win, though it looks unlikely with every passing year, translations of her work – her best fiction has in fact been translated, published, and become hard to find already – and, perhaps, those of others, will get the big boost that we translators have been waiting for. This essay originally appeared in In Other Words, the journal of the British Centre for Literary Translation.